the Glo network, you must activate Glo ME2U Feature first. Send “Act” to 131 without quote. They will send you back SMS asking you to create change your password/PIN for securtiy purposes. Dial *132*00000*NewPassword*NewPassword# then press send. 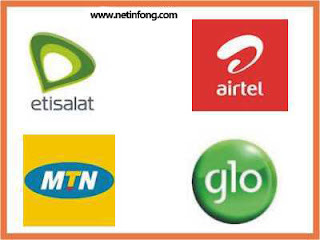 To transfer credit from one glo to another Dial this. *131*recipient’s phone number*Amount*pin# then send. Note: Recipient’s phone number must start without the first zero (0) e.g 7058760987 or 8055475685.
pop up msg telling you to confirm by pressing 1, To proceed press 1, to cancel the transaction press 2. Firstly, You need to Create or Change your secret pin. The secret pin is a 4 digit number which give you access to transfer credit to another MTN subscriber. This Pin is kept secret, so that another person might not transfer your credit. will receive a message telling you your pin has been changed successfully. Dial *601*old/defaultPIN*New PIN*New PIN# then press Send/Ok. For example if you want to change your default PIN (0000) to 1985, then dial : *601*0000*7890*1985# then press Send/OK. If PIN change is successful, you will receive an SMS from MTN informing you of the successful change. Transfer 08138159927 100 1234 and Send it to 777. To transfer credit via USSD. Dial *600*Recipient’s phone number*amount in Naira*PIN# then press Send/Ok. You will receive a text message confirming successful transfers. Airtel Me2u is a credit transfer service meant to help airtel user transfer their credit anytime they want to any other Airtel subscriber. To transfer credit from Airtel to Airtel, send this in an SMS to 432. 2U (space) Recipient’s phone number (space) Amount (space) Pin. eg. 50, the next window should contain recipient No. You can also change your pin from the service menu. HI BABA CHRIS! THANKS FOR THE TIP. KEEP YOUR GOOD WORK IN CONSTANT MOTION, DON'T EVER STOP. WE LOVE IT. Kudos 2 u Bo55 i hail. Thnks Methyl, been a while i heard from u.